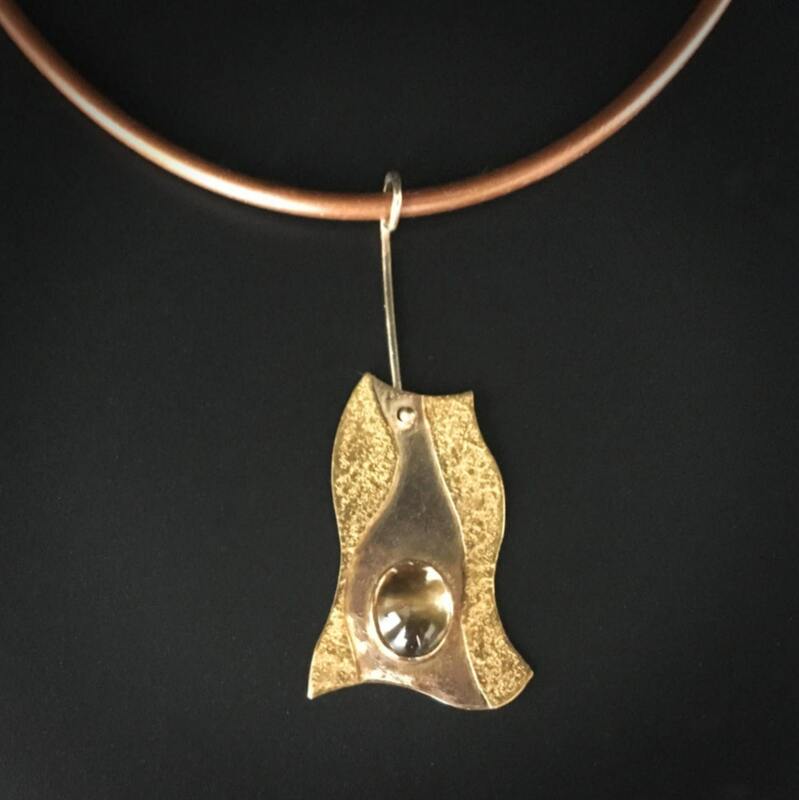 Striking pendant features 14K & 22K textured gold set with one oval 8 x 10mm Citrine cabochon. Suspended from a copper-color 16” rubber neck cord with 14K yg hook clasp. Total length of pendant including 14k wire attachment is approx. 2 3/8”.